The trailer is also available on this link. The C9+1 Symposium 2018 – Innovation and Excellence in Teaching and Learning in Research Intensive Universities in China was held from April 12 to April 14, 2018 at the University of Hong Kong with more than 500 teachers and students from C9+1 universities participating in the event. A Leadership Summit was held on April 12, the Opening Ceremony and several panel discussions were held on April 13, and a Student Learning Festival was held on April 14. The C9 League (九校聯盟) was formed in 2009 by nine key universities of the national 985 Project, namely Fudan University, Harbin Institute of Technology, Nanjing University, Peking University, Shanghai Jiao Tong University, Tsinghua University, University of Science and Technology of China, Xi’an Jiaotong University and Zhejiang University. Since then, HKU has established significant relationships with individual universities of the C9 League. 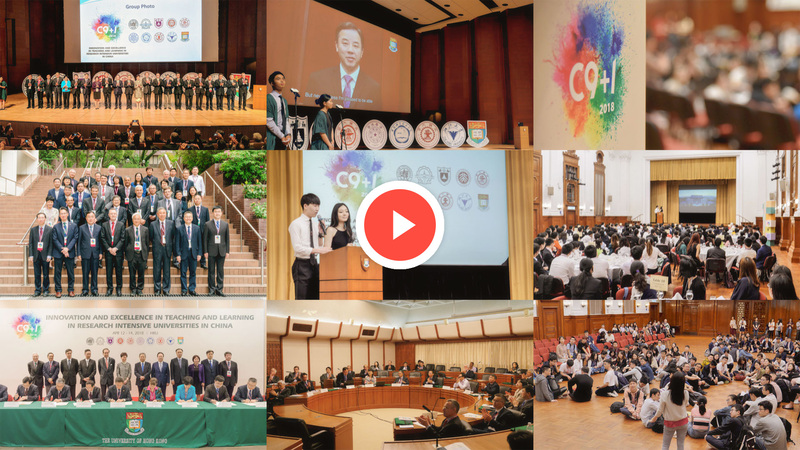 The C9+1 Symposium 2018 brought these universities together with HKU at all levels – senior management, teachers and students – to celebrate innovation and excellence in Teaching and Learning. The three-day event generated a platform for ideas exchange, interactive dialogue and experience sharing. At the 2018 Symposium, it was agreed to develop sustainable long-term cooperation amongst the C9+1 universities, and to hold an annual event in all C9+1 campuses by rotation in the coming decade. The Inaugural Symposium of C9+1 Universities in China was held on September 20 and 21, 2010 in HKU.